You may often wonder how much your house is worth – maybe your car too. But have you ever stopped to think about the value of your garden? Whether you’re a keen gardener or are a novice when it comes to plants, if you have a garden attached to your property, then we’ve got some good news for you – you could be sitting on a garden goldmine! 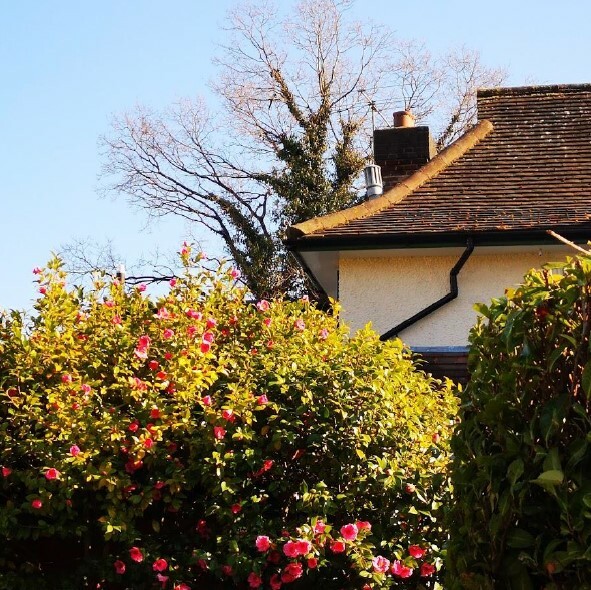 Some of the most common trees found in UK gardens could be adding thousands of pounds to the value of your property, without you even realising it. 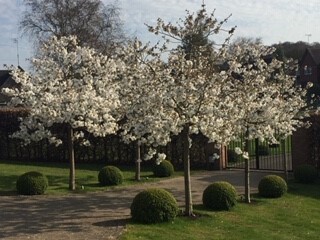 That’s why ShootGardening.co.uk has partnered with Tendercare.co.uk to compile a list of the most valuable trees that you could have in your garden, along with some pesky plants that have the potential to cause damage to your house. 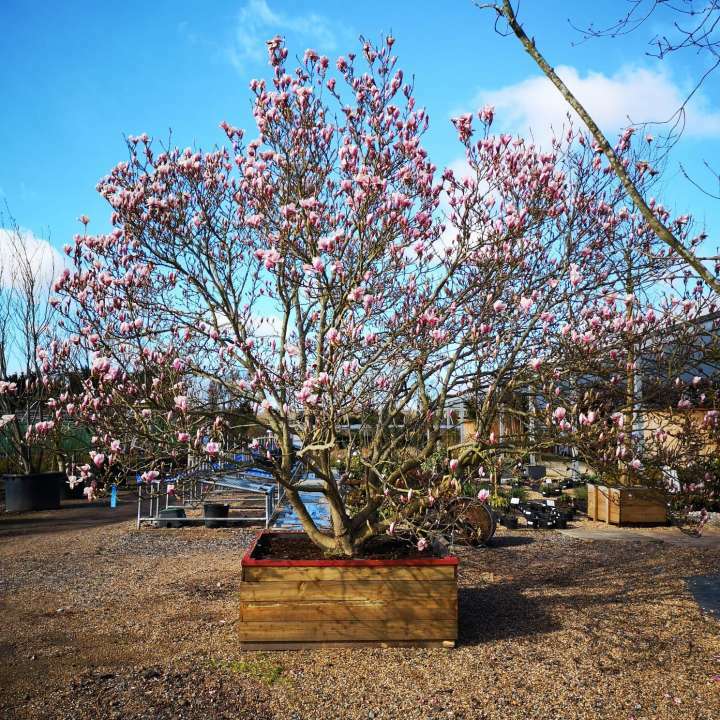 If there’s any tree in your garden that you should take particular care of, it’s a Magnolia – these trees are not only beautiful, but they can be worth thousands of pounds. Magnolias are known for their large, fragrant blossoms, thick, dark green leaves and striking seed pods. A sheltered site with light dappled shade is best for a magnolia, as well as protection from temperatures below -5°C. Traditionally, topiary was used in a formal garden setting, such as the grounds of stately homes but has become increasingly popular in gardens across the country. These trees range in price depending on their size and type of plant. 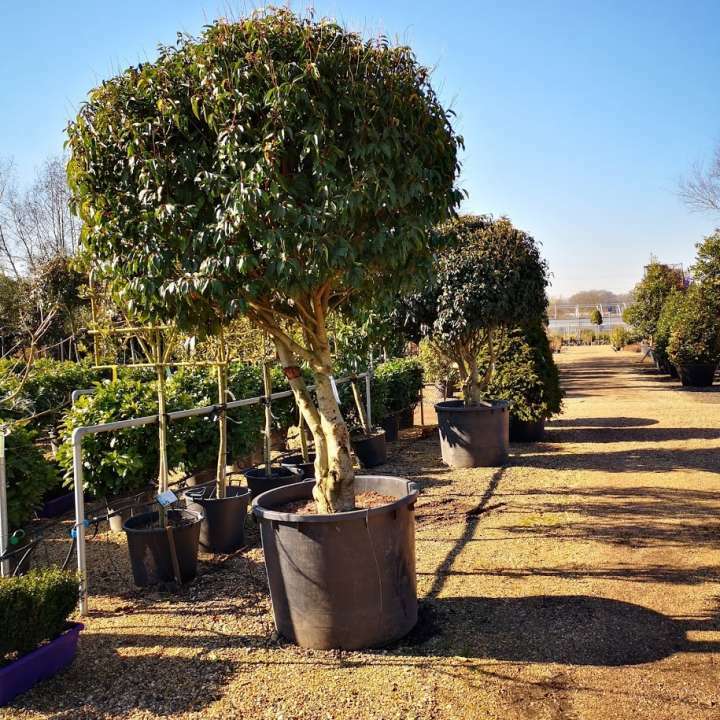 Depending on the species, a mature clipped topiary bush 3m tall would cost from £1,900. Few plants have the fabulous foliage of the Japanese Maple! This is a small deciduous tree that forms a broad dome of deeply cut, feathery red-purple leaves that turn a brilliant crimson during Autumn. 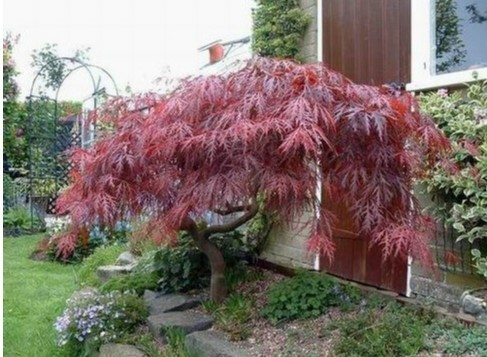 Japanese maples are slow-growing, which makes them perfect for small gardens and can reach 2.5 metres over 20 years. A Dissectum (cut-leafed) weeping Japanese maple around 10 years old, 1.5m tall by 1.5 wide, will start at around £1,200. This tree may be familiar to anyone who holidays in Italy or the South of France. The Evergreen Magnolia grandiflora tends to grow tall and broad if left alone but can be pruned to encourage upward growth/produce dense growth. 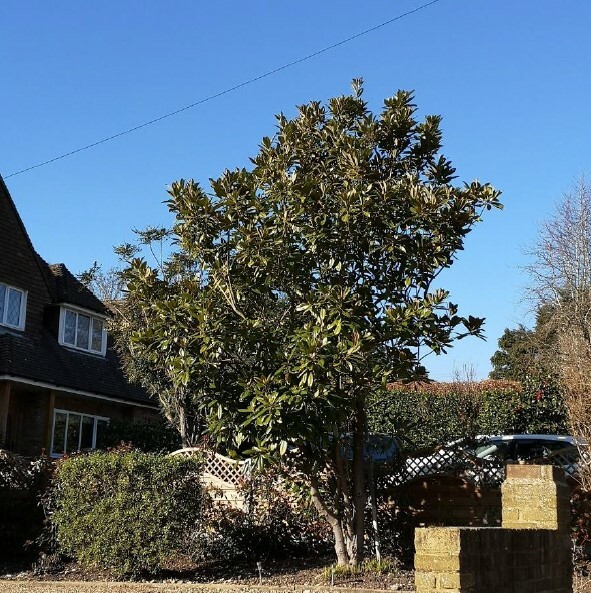 Magnolia Grandiflora can reach 8m in the British climate after 30+ years, but you won’t have to wait that long for your tree to reach high value – a 4.0m tree can be worth £1,500. 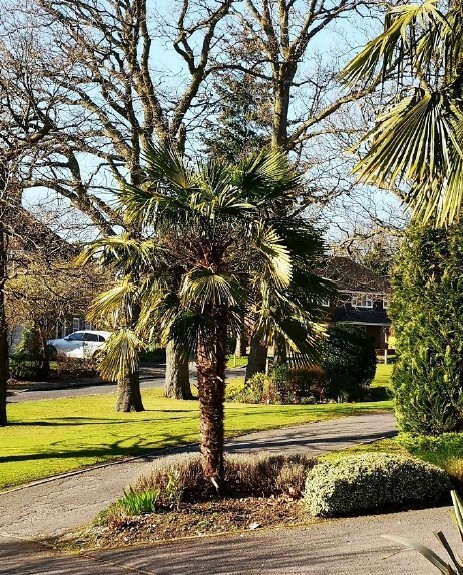 This tree would give any garden a tropical touch and despite what you might think, this is one of the hardiest of all palm trees. The Chinese windmill palm is slow-growing, easy to maintain and adapts well to most climates. Even better? A Chinese windmill palm will add £1,200 to the value of your garden at just 3m tall. A recent restriction on importing Palms to the UK means that while existing stock can be sold, new trees have to have a special passport and be grown in quarantine for two years before they arrive in the UK, potentially adding to the value of good examples in the future. This characterful tree is definitely worth some TLC. Olive trees are best grown in a sunny position, but are extremely hardy and can withstand heat, drought and even temperatures as low as -10°C. If you have an olive tree in your garden, it will be well worth your while to keep it in good condition – at just 2.5m tall with a mature trunk, these trees can start at £500. Olives are being threatened by Xylella in the mediterranean and measures are being taken to ensure this disease, which is also a threat to our Oaks and other trees, is not brought into the country. It is possible to have your tree tested now, to ensure it is disease free and you should ensure you buy from a reputable nursery who can also confirm this. 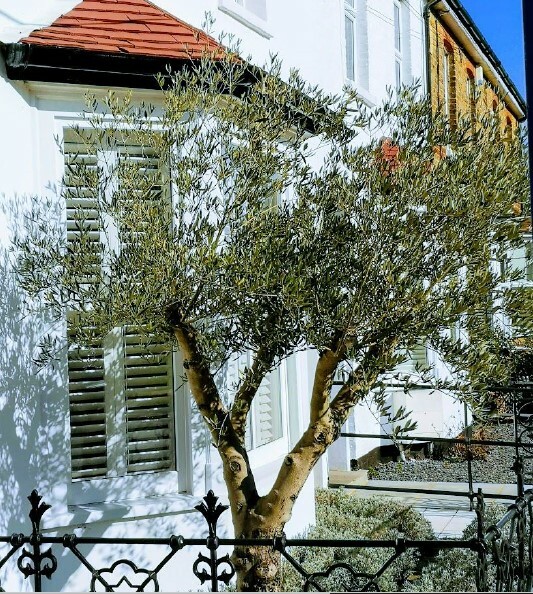 It is anticipated that there will be a shortage of Olive trees available to buy in coming years, making yours all the more valuable and worth looking after. These trees are guaranteed to brighten up your day - their delicate pink and white flowers make these plants a lovely addition to any garden. It is currently a hot topic where they originated from. The latest claim is that they originated in China and the seed was carried by birds to Japan and Korea. They were being cultivated the Royal Palaces of China over 2000 years ago, so they certainly appreciated their value! Most flowering cherry tree varieties bloom in spring but will also add value to your garden during autumn, when their leaves turn brilliant shades of orange and red. One variety, Prunus even flowers just before Christmas. Many varieties are ideal for even small gardens and come in a range of shapes. These trees can range in height, with prices for a 5-6m tree starting at £1,800. Even the smallest front gardens can benefit from a small tree like a weeping birch. Bright white bark and long, downward growing shoots at the ends of branches are defining characteristics of the weeping birch. This low-maintenance tree is well suited to mild summers and cold winters, but does require well-drained, moist soil all year-round. A 2.5m tall tree with a 2m head width and mature trunk can add at least £300 to the value of your garden. You may not give hedges a second thought, but they do much more than define boundaries. Hedges offer a variety of benefits, including privacy, protection from wind, noise reduction and the opportunity to create a wildlife habitat. 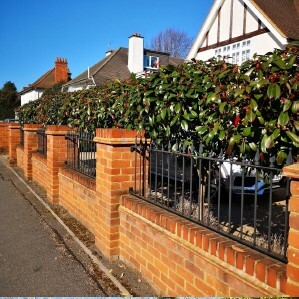 Portuguese Laurel, Prunus Lusitanica, Photinia Red Robin, English Holly and Hornbeam are all hedges that, if kept under 2 metres, can be a great asset. To purchase these kinds of hedges, you’d be looking at paying £200 per metre. 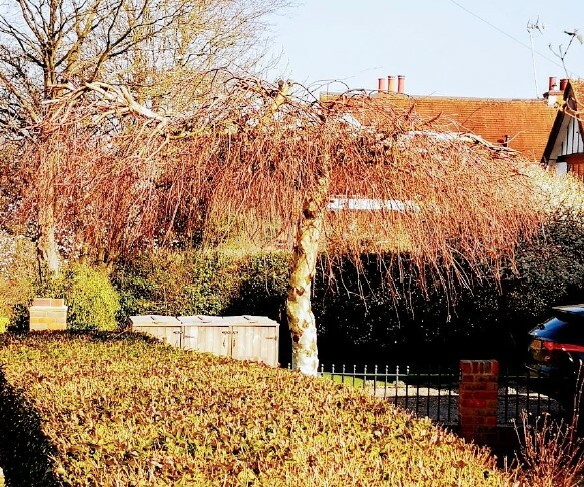 These trees often lose branches as they age, which can be a hazard if sited near a house, therefore they need to be routinely checked, maintained and pruned by a specialist. If you have a particularly large pine tree in your garden or near your home, you may need to consider having it removed, however there is a good chance that it will be subject to a Tree Preservation Order (TPO), making specialist care even more important. While weeping willows are beautiful trees, they produce a significant quantity of roots, which can spread over 100ft long. This can create all sorts of problems such as causing bumps in your lawn, lifting patios and even damaging underground water, sewage and plumbing lines. Large trees that are allowed to grow out of control, such as the Lawson cypress are likely to cause a lot of problems for you and even your neighbours. Not only will these trees sap all of the nutrients and moisture from the surrounding soil, the needles they shed can often leave the soil beneath barren and their height may stop light getting to yours, and your neighbours gardens. How can you identify a tree? With so many varieties, identifying one tree from another can be tricky, and you don’t want to go barking up the wrong tree! All trees have distinguishing clues and markers that can help you with identification – you just need to know what to look for. Shape – Some trees have a very distinctive appearance and shape, such as an English oak or a weeping willow, which can make them easy to identify. Shape is a key factor when identifying both deciduous and conifer trees. Leaves – Leaf type, appearance, texture, colour and shape are all clues when identifying trees. They can also be the most obvious feature, particularly in the spring and summer months. Broadleaves usually signal a deciduous tree and will fall into one of two categories: simple (whole leaves that are not divided) or compound (a leaf with two or more distinct leaflets). Needles or scales will likely point to a conifer and will usually present all year. Bark – A tree’s bark is one of its most obvious features, but if you look closer at the texture, colour and markings, it may give you key information. Does the bark have peeling flakes? Is it white, red or green? Does it look smooth and shiny, or does it have a pattern of ridges? Don’t forget that bark develops as a tree grows, so younger trees can have different bark compared to mature trees. Flowers – Identifying flowering trees is a task best undertaken when they’re in bloom! Flowers will bloom in all shapes, sizes arrangements and colours depending on the species of tree – all features that will help you to identify your tree. Fruits – At the right time of year, fruits and even seeds provide useful clues to help identify trees. Look at the colour, texture, shape and size, and consider opening the fruit to get a closer look. Still need help in identifying and managing your garden? Our Verdant Design Service will create a management plan to ensure you get the most out of your garden throughout the year and help you understand what trees and plants you have.